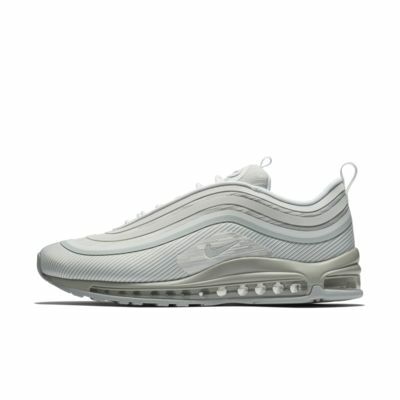 Кроссовки Nike Air Max 97 полностью изменили представление о мире бега благодаря революционной вставке Nike Air во всю длину. 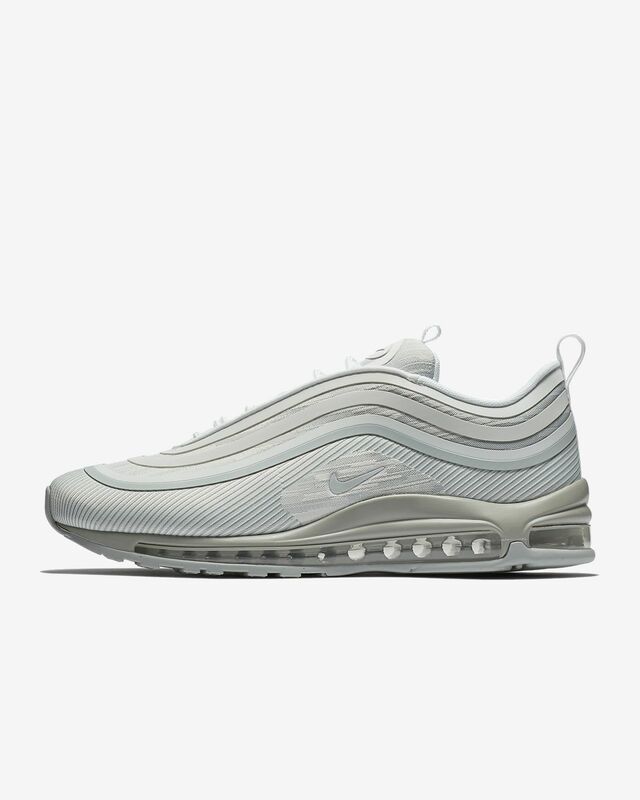 Мужские кроссовки Nike Air Max 97 Ultra &apos;17 — новая версия оригинальной модели с сеткой и трикотажной конструкцией для непревзойденной легкости и изящного стиля. TTS. Looks are eye catching. Comfortable surrounding foot (but not the sole). Odd though that the Nike Airmax high tech sole does not make for a very cushioned ride. Was expecting to be walking on air. Instead, I feel the hard impact of every step! I wasn't a huge fan of this model of shoe, I thought it was sort of ugly at first, but when I bought them and tried them on, they're not bad at all! They fit perfectly and are super comfortable. I haven't had them long enough to test durability, but they look fantastic and you're getting your money's worth!